Recently a crowdfunding site was set up to raise money for Blanche’s care. Since this site was launched, there have been some posts shared through the Soto Zen Buddhist Association, American Zen Teachers Association and other groups, that are both inaccurate and, in several cases, derogatory of San Francisco Zen Center. In particular, there is a statement on the Lion’s Roar website which seems to indicate that Blanche is $100,000 in debt, which is not true. When the crowdfunding site was launched, it was done with good intentions—to offer a way for students and friends of Blanche to support her health-care costs. No one anticipated that there would be any controversy. 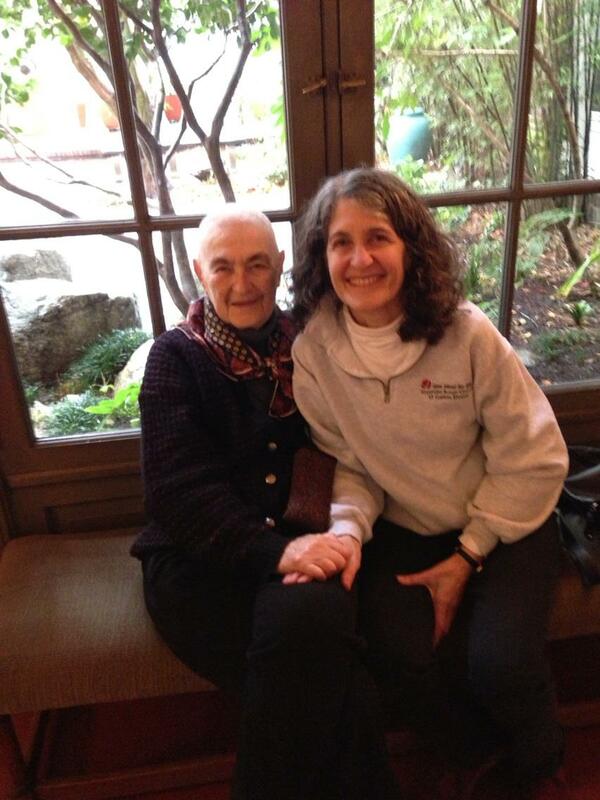 The Hartman family is very grateful to San Francisco Zen Center. We have been working closely together over the past several years to find the best ways to support our father, Lou Hartman, and now our mother, Blanche. To clarify the current situation, while there may come a time in the next year when Blanche’s resources will run out, right now there are still resources available. However, Blanche has expressed that she would prefer to not spend this money, so that she can leave it to her children. The fact that Blanche is residing at Age Song in a shared room is the result of the family’s decision, including Blanche, to not spend more money for a private room, or for the full-time care she would need in order to return to City Center. Zen Center has expressed that she is most welcome to return if she does have care. And we are all quite clear that because Blanche needs a great deal of help to care for basic needs, Zen Center students cannot adequately and safely provide this help. In effect, the fundraising has two purposes: to relieve Blanche from the feelings that she is taking care of herself instead of her children and grandchildren, and to benefit the family. The intimation that she is in a shared room because she does not have money, or because she has been banished from City Center and that San Francisco Zen Center is somehow neglecting her, is neither true nor helpful. Thank you, Trudy. This clarifies so much. I, like so many others, feel so much gratitude to Blanche that we are willing and ready to help her in any way we can. Thank you for sharing your mother with all of us.